The domestic equity market's movement today will be driven by the futures and options expiry for March contracts, with investors rolling over positions to April series. Apart from this, stock-specific action, movement of rupee against the US dollar, oil prices, and FII inflows will also impact the market sentiment today. On the global front, British Prime Minister Theresa May has said she would quit if her twice-defeated EU divorce deal passes at the third attempt, making a last-ditch bid to persuade rebels in her Conservative party to back her, according to a Reuters report. 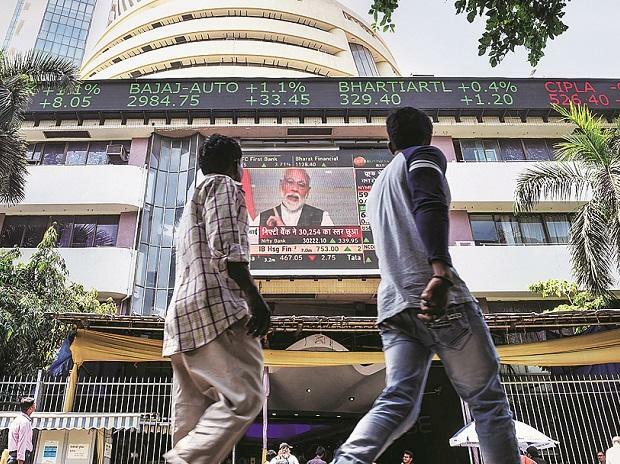 Benchmark indices Sensex and Nifty ended in the negative territory on Wednesday. The S&P BSE Sensex lost 101 points or 0.26 per cent to end at 38,133. The Nifty50 index of the National Stock Exchange (NSE) closed below 11,450 level at 11,445, down 38 points or 0.33 per cent. MSCI’s broadest index of Asia-Pacific shares outside Japan slipped 0.2 per cent in early trade, with South Korea off 0.7 per cent. Japan’s Nikkei fell 1.6 percent, while E-Mini futures for the S&P 500 lost 0.4 per cent. US stocks eased on Wednesday as Treasury bond yields fell again and a prolonged inversion in the yield curve fanned fears of a U.S. economic slowdown. Mahindra & Mahindra Financial Services: The company's board has approved the acquisition of 1.18 crore shares of NRHFL from National Housing Bank. Unichem Laboratories: The company has received US FDA's final Approval for its ANDA, Tadalafil tablets, 2.5 mg, 5 mg 10 mg and 20 mg.
Bharat Financial Inclusion: The firm has completed ninth direct assignment of Rs 1,529 crore. NBCC India: The company has secured new works for five infrastructure projects of Rs 1,003 crore.